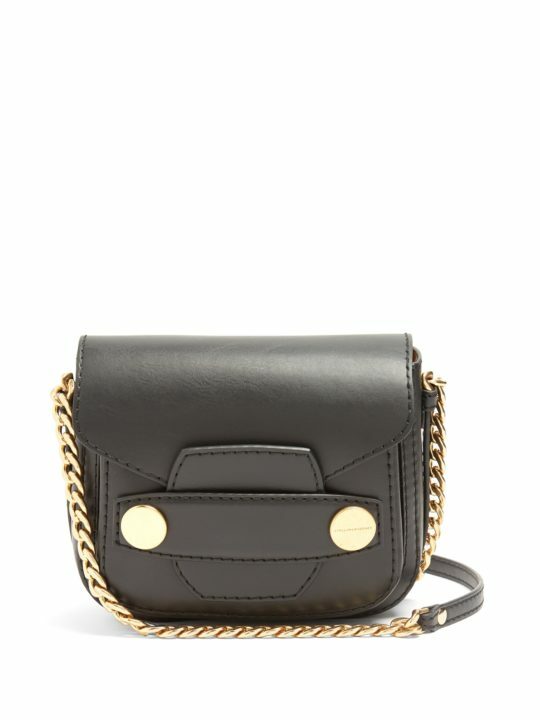 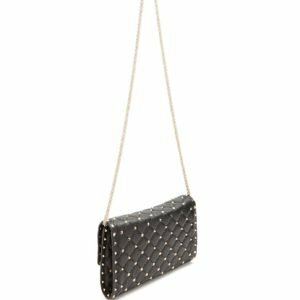 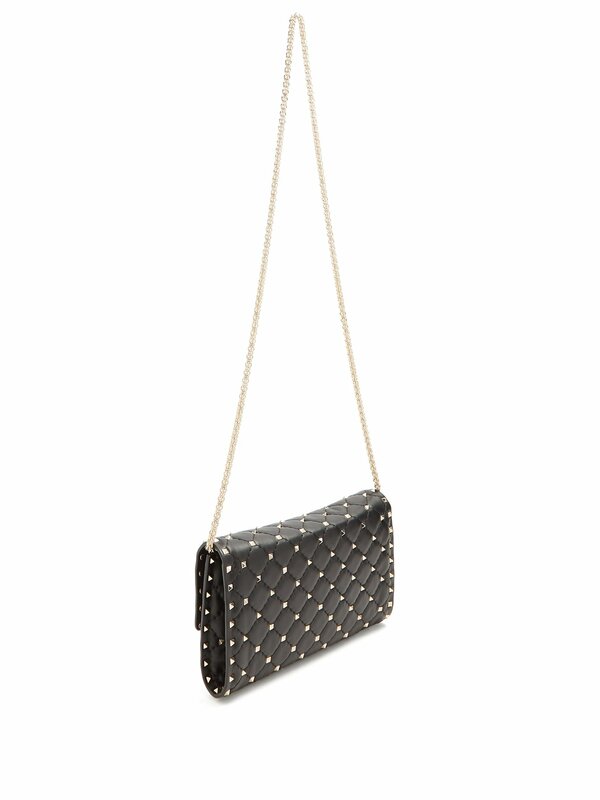 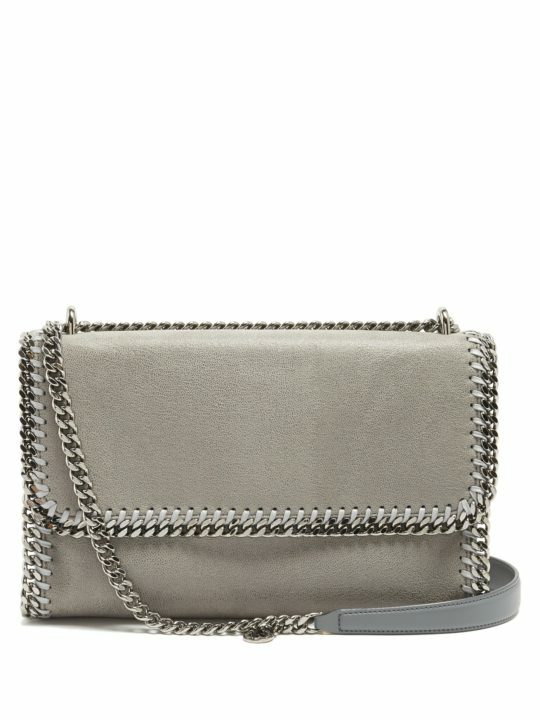 Valentino’s Rockstud Spike bag is a versatile piece that can be worn over the shoulder – using the detachable white-tone metal chain strap – or as a clutch. 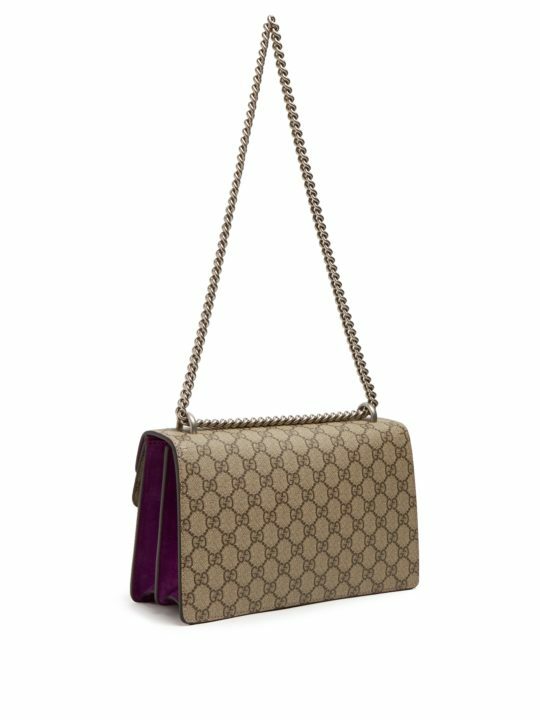 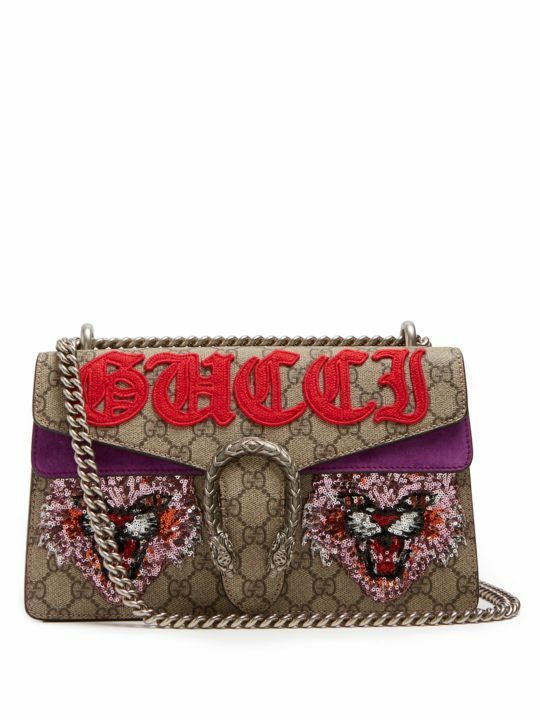 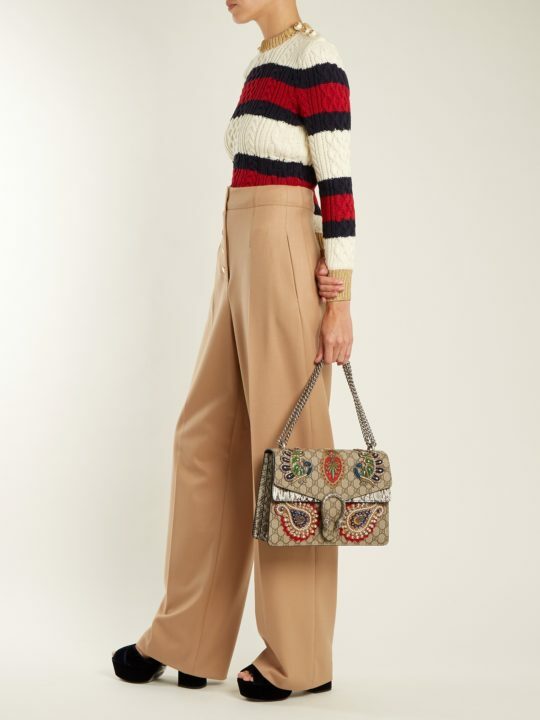 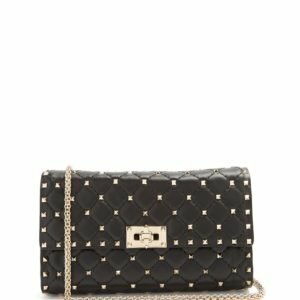 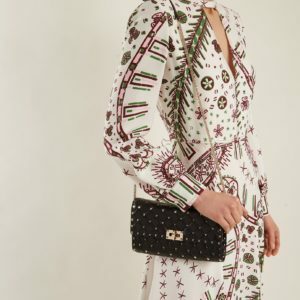 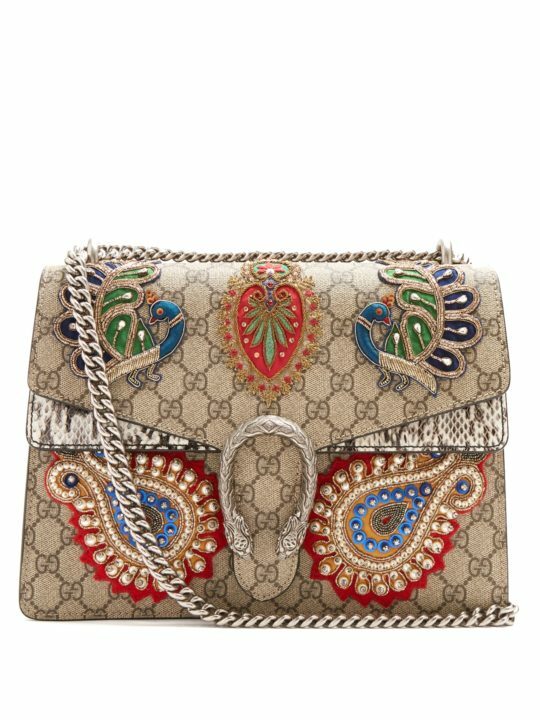 It’s crafted in Italy from black quilted leather to an envelope shape and embellished with the label’s signature studs and twist-lock fastening in white a new adaptation this season. 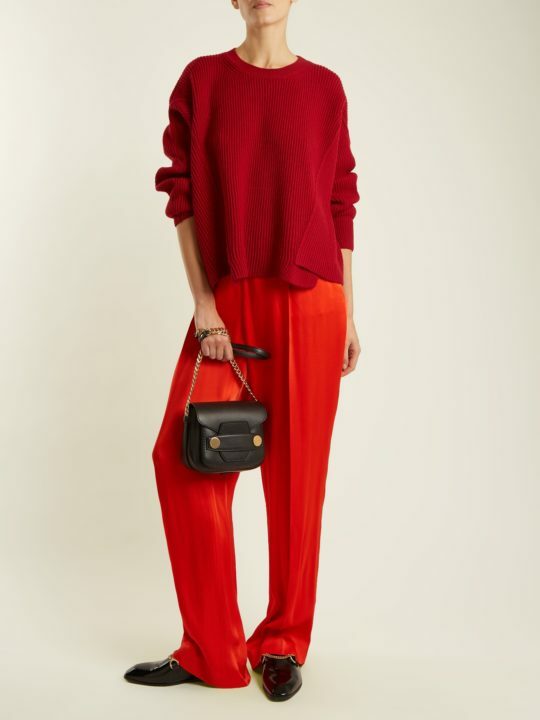 Wear it as the off-beat counterpart to a sports-influenced ensemble.